The world now knows about the acai berry‚ and its ability to promote overall well-being. It's often referred to as a superfood for good reason. The fruit provides essential phytochemicals like flavonoids‚ proanthocyadins‚ and anthocyanins. Anthocyanin in particular may fight off potentially harmful free radicals. The fiber content may also give you a feeling of fullness‚ while amino acids‚ vitamins‚ and minerals work to keep your body healthy. That doesn't include the additional natural compounds that haven't yet been identified! Brazil is the source of this small dark purple or black fruit. 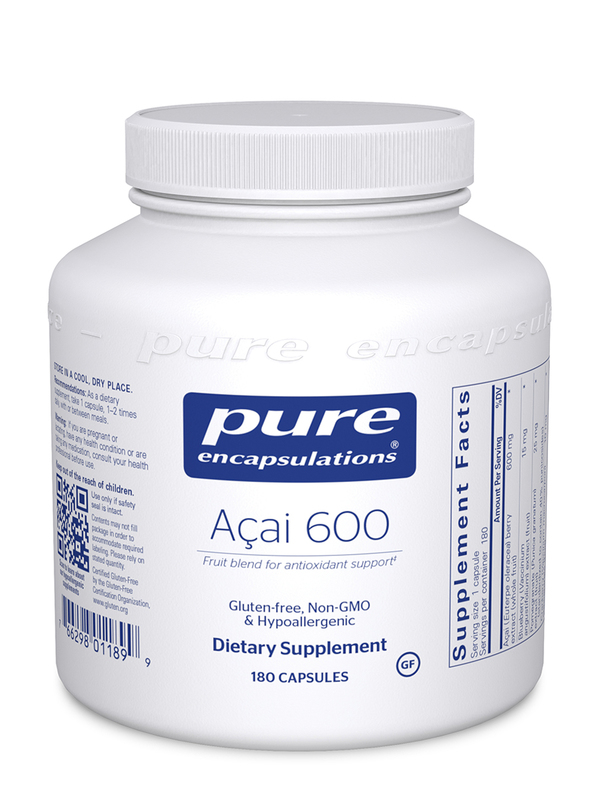 One capsule of Pure Encapsulations' Acai 600 provides 600 milligrams of Euterpe oleracea (acai berry) extract. 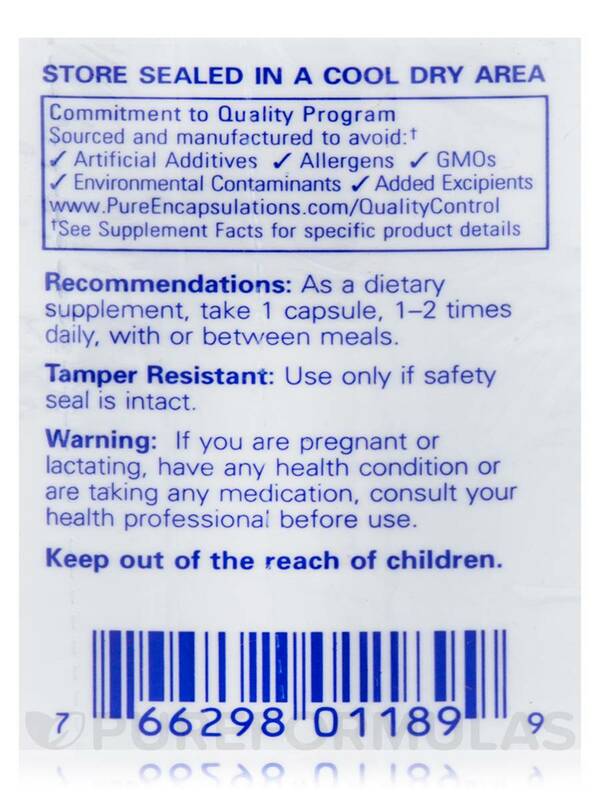 While you can find acai in powder or juice‚ a capsule may be the most convenient solution for you. 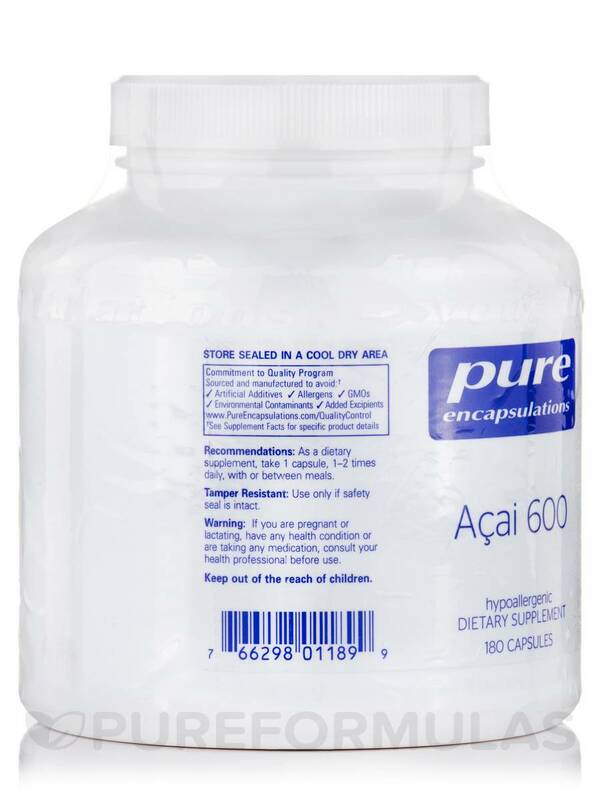 In addition to acai berry extract‚ each dose of Acai 600 by Pure Encapsulations also contains a fruit blend consisting of pomegranate‚ blueberry‚ raspberry‚ and cranberry; this provides more helpful antioxidants. 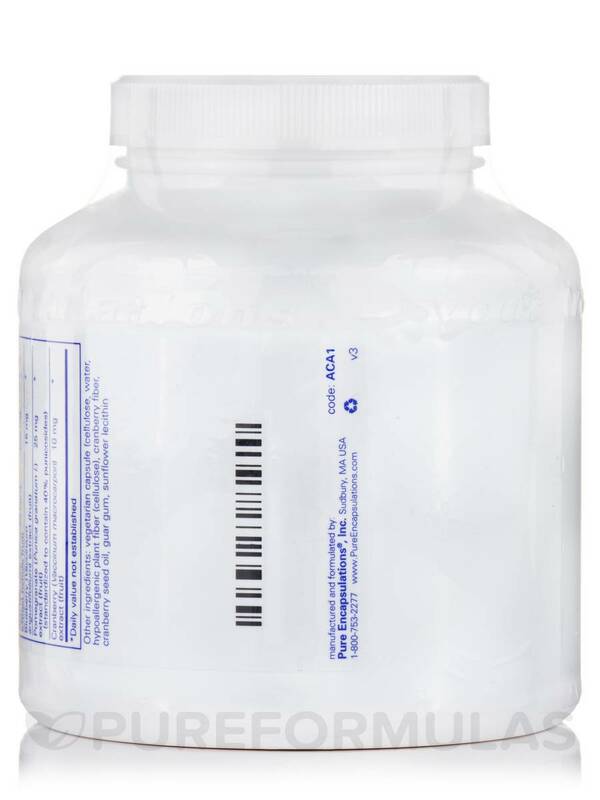 You can rest assured that the ingredients in this supplement are the highest quality possible. The acai fruit is picked and sorted by hand in order to preserve the Brazilian rainforest ecosystem and its palm trees. 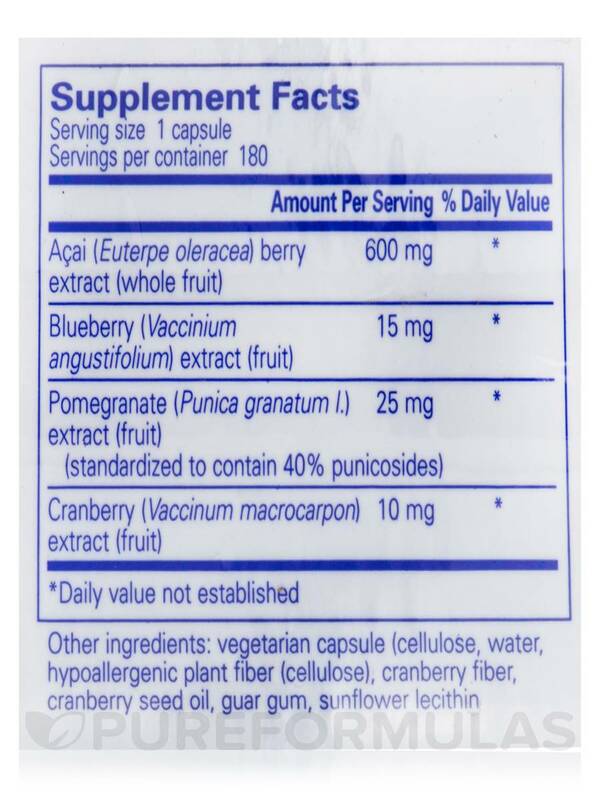 Take one or two vegetable capsules of Acai 600 each day in divided doses. You can take it either with or between meals. Other Ingredients: Vegetarian capsule (cellulose‚ water‚ hypoallergenic plant fiber (cellulose)‚ cranberry fiber‚ cranberry seed oil‚ guar gum‚ sunflower lecithin.